The FHA 203k is a special renovation or “rehab” mortgage that provides financing for both the purchase and renovation of a home. Below we will discuss the FHA 203K loan details & benefits in details, please call us above with question. First, buyers need to know there are two different types of an FHA 203k loans. The first is regular 203k, which is geared towards properties that need more intense structural repairs or additions that exceed $35,000 in cost. The second is the streamlined or “Limited” 203k, which is given for non-structural repairs or for when repairs total less than $35,000. The typical repairs we see on Limited FHA 203k loan are for basic repairs like the roof, HVAC, flooring, painting, kitchen or bathroom updates. This program is pretty simple for the lenders that are trained to do them. If there is only one repair type needed such as only flooring or only roof then you just provide one estimate from a local licensed contractor. If there is more than one repair type then you will need a General Contractor to oversee the project and you will need to provide the written estimate from the GC. Lenders will then take the repair estimate, add 10% for cost over-runs and add that to the purchase price and then your 3.5% down payment is computed from there. So, yes you can buy a house and borrow more money than the purchase price based on the “As Improved” value. Buyers don’t need thousands of dollars in the bank to fund the repairs and improvements out of pocket. This program is especially helpful for home buyers in more costly locations of California, Florida, etc. What about an FHA 203(k) loan if you already own your home? Yes, you can do an FHA 203k loan for a refinance as well! With FHA though we have to keep the loan amount within the FHA guidelines as seen here. Different states and counties have different limits so check with us for the maximum loan amount for each county in your area, see link below. Just like regular FHA loans, a down payment of 3.5% must be made. Down payment can be gifted from eligible sources. 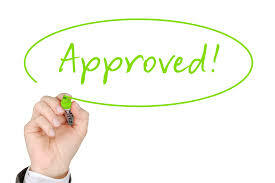 Borrowers should have a minimum credit score of 600 to get approved for maximum 96.5% financing. Applicants debt to income ratio limit of 43% if your credit score is under 620. A higher ratio of all the way up to 55% may be approved if for well-qualified applicants. 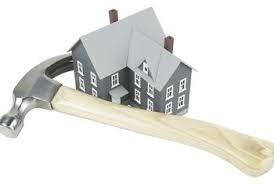 Property Requirements – All properties must meet certain security, safety, and structural integrity requirements. We can do single-family houses, townhouses and select HUD approved condos. No mobile or manufactured homes. Standard FHA loan limits apply. Owner Occupied primary residence only. Have questions or want to learn more? Call us at the number above or just submit the Request form on this page.